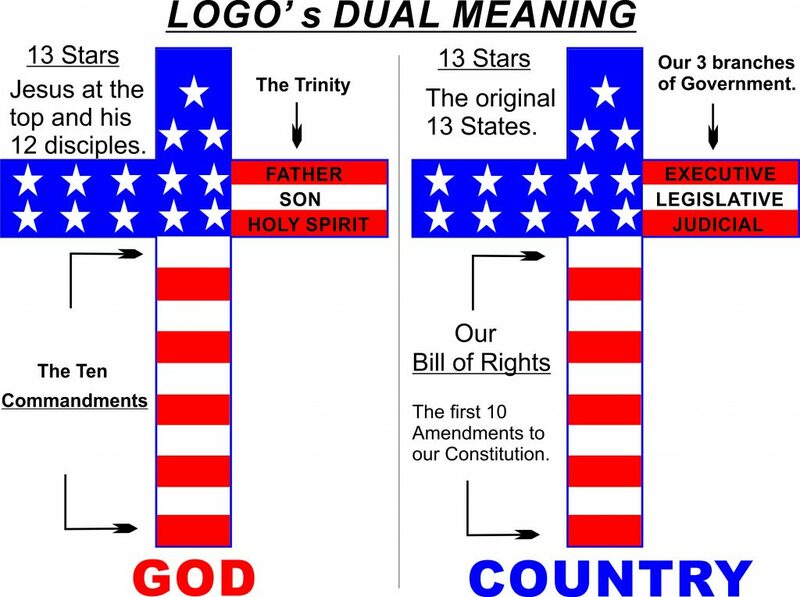 God & Country – AMERICA was founded on Christian Principles! Preserve our America, as our Founding Fathers intended. Welcome to GOD and COUNTRY! Americans have elected new leadership which aligns more to Christian values than the last! This is our new hope: "Make America Great Again, Under God!!! Our MISSION: Educate Americans on the fact that America was founded on Christian Principles, and to perpetuate this fact to future generations. America's National Motto is "In GOD We Trust". This is under attack. Unless Christians get involved, we can all say "Goodbye America"
We need your help! Please support this God & Country effort with your donations, so we can get the word out. 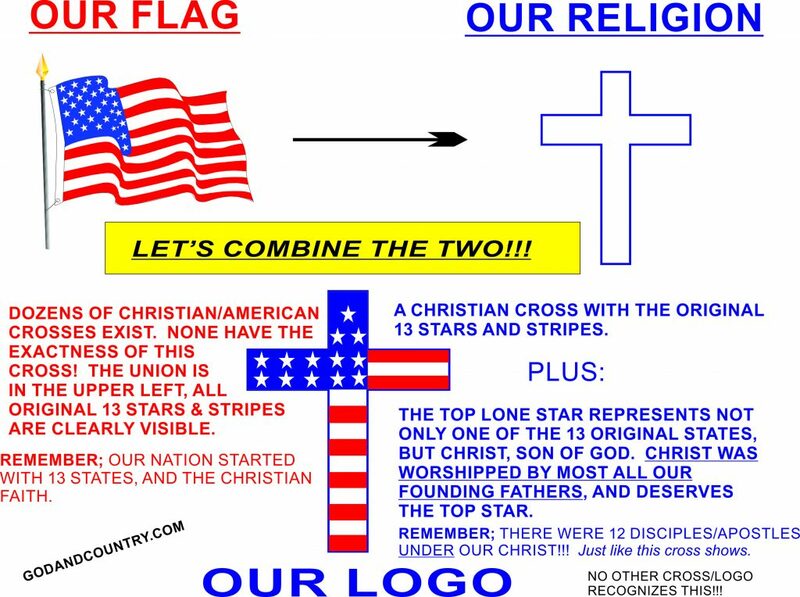 Our copyrighted American Cross can be a new symbol of God fearing AMERICANS. 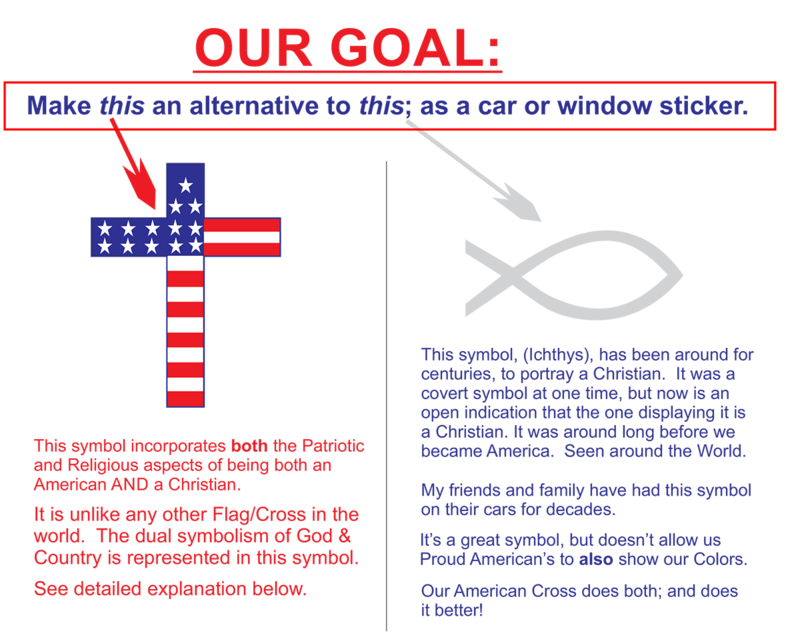 With your support we can produce "THE AMERICAN CROSS" in various products for Christian Americans to proudly display.